Spruce, Tim Cotterill Frogman Christmas Frog 2018. 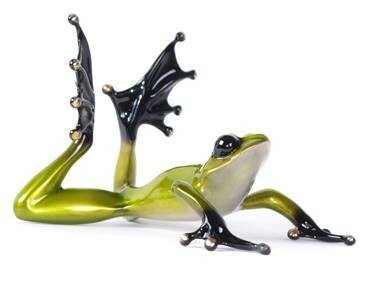 A special Christmas gift from Tim Cotterill Frogman, Spruce is a gorgeous frog to freshen up your collection! With a sleek, bright green silver-nitrate patina Spruce is a delightful EV of Sunbather. 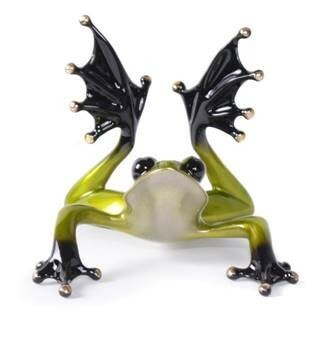 The perfect gift for a Frogman collector any day of the year, Spruce looks forward to joining your nest of frogs this festive season!